Deutsch: Das stabile Dreieck für einen nachhaltigen Wandel in der Gesellschaft. English: Heterosexual white man looking for his privileges. Español: El triángulo estable para el cambio sostenible en la sociedad. Français: Le triangle stable pour un changement durable de la société. To embed this file in your language (if available) use the lang parameter with the appropriate language code, e.g. 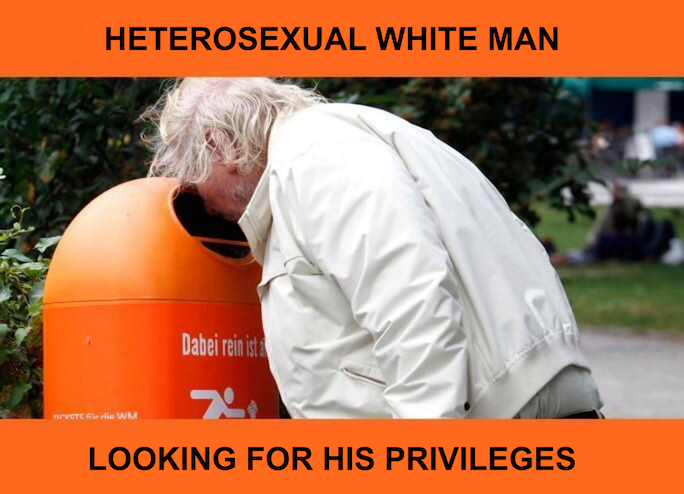 [[File:Heterosexual white man looking for his privileges.svg|lang=en]] for the English version.